A storm rolled in the middle of the night, bringing Gideon directly into our room. He said he had a headache and Jud got him some otc meds. He was back in bed fairly quickly, I think, but I wouldn’t know because I didn’t get out of the bed. Somehow we have an unspoken rule about Jud dealing with Gideon and I take Piper’s middle of the night antics. Unless someone is puking. No one stays in bed for those kinds of emergencies. Potty breaks and lost FirePigs, these are the stuff of the 2am wake up. When morning finally rolled around, I could barely lift my head off the pilow. As is often the case, the front had brought on a migraine. I slammed some coffee and hoped for the best, but by ten, I was a ball of dark, quiet sadness and pain on the sofa. I sometimes wonder how the kids will remember these days. Will they remember getting their own snack out of the cupboard? Will they remember watching cartoons all morning? Will they just remember that their Poppy came over and saved the day? Hard to say. I am writing on an iPad right now. It’s actually kind of annoying because even though it works pretty well, it isn’t great. I am slower and it isn’t easy to correct. But it is kind of awesome to touch the screen. 20 years from now, that will sound so stupid. Of course you touched the screen! Back when we didn’t just use our eyes and thought processes to access our social networking sites. We were so primitive! So here are some other things that are sure to sound insane later. Extreme couponing. This is where people spend a lot of time cutting out paper; sometimes printing images off of their computers and taking them to stores that will match other stores prices so that they can get products for almost nothing, or sometimes even get paid to take them out if the store. It has caught on like wildfire. It is something to behold, these binders and things full of cut out paper. I wish I could participate, but I can’t care about it too much right now, and I am horribly bad at consumer math. Let’s just let that last part go without comment. Watching YouTube videos with our friends and family. Seriously. Sometimes an evening can be spent almost entirely sharing videos other people made about giraffes hitting each other with their heads and necks, or children who are high after dentist visits. Reality tv. Is it still a thing? Have those kids from Jersey Shore not died from cancer or alcohol poisoning or by beating each other to death? Hmph. Didn’t see that one coming. Feeling smug about food choices. For the record, I sometimes participate in this horrible activity. Somebody cuts out artificial colors. Someone else is gluten free. We don’t eat dairy! Or like anything we eat (please drip some butter accidentally on my steak)! It used to just be the vegetarians and then the vegans chimed in, but now it’s crazy nuanced and there is no end in sight. Of course, most of our country is still getting fatter and unhealthier, but that isn’t the point. Grab your unpastuerized milk and raise a glass to crazy! There’s more. So much more, but this keyboard is making me crazy and I’m exhausted (another thing that is really in – complaining about all of these conveniences and or hurried lifestyle. They are the new measurables to make sure you are a part of the modern collective. It won’t actually make you feel better, but at least you’ll have company and they probably have something to show you on YouTube). ::: Letting the girl go first is so sexist. ::: The use of latin always seems incredibly pretentious. I was sitting next to that. Yeah, I snickered. And the stuff he didn’t put out there for the whole entire world to read? Some of that was even more hilarious. Kids, your daddy is funny. Know who is attempting to rival him? You, Piper. You. While driving in the car today for four hours you moved back and forth for a while between being a pint sized monster of naughtiness (see: kicking the iPad (aka, Daddy’s heart), screaming an ungodly noise randomly and insisting that your shoes be put back on after you take them off, which always occurred directly after I would put them back on) and demanding to be allowed use of a toilet. Dad noticed that you were timing your requests with exits on the interstate and intersections on the highway. Smart little devil. We stopped a few times and you pretended a few times, but since we’d brought along the ‘little potty’ we knew you weren’t doing anything. We were not fooled. After loosing a half hour to these fake requests, we weren’t playing anymore. We weren’t stopping even though you were sounding more desperate. And then, I just knew. I heard something in your tone or saw you squirm or something and so we pulled over. And you were not lying. And even though we felt kind of bad, we still rolled our eyes, because you are such a stinker. ::: Oh baby, yeah, yeah, baby. I need my big bed. Oh yeah. I sleep in a big bed. This I know. Oh yeah. Oh yeah. Oh yeah. You sang it so earnestly and with so much heart that we have almost decided to break down and buy you that big bed. But not tonight, sweet, funny girl. Tonight we are all sleeping in our old beds and are thanking God for a very long journey that is over, while looking forward to all of the ones that lie ahead. Thank you for making the ride so fun. Thursday, Thursday, Mothering, Mothering, Hey! This is the part where I make a bunch of self deprecating jokes. Something along the lines of how I am an idiot. Something close to singing a song called “Man, I Feel Like A Woman” or creating a transition from 9/11 victim’s families to dogs jumping out of planes (thanks to, Nightline, for the material). For real though, I am dumb. So dumb. So dumb. Today was all set to be full. Watching a friends’ child. Taking all three up to preschool. Arranging for someone else to stay with the two younger ones while I attended a Mother’s Day Lunch with Gideon. Back home to nap the little ones and prep the house for our Thursday night group. Planning was done. Execution was the only thing left. Did I mention that we can only carry two car seats in the back? I don’t know what happened to those things over the past couple of decades, but good luck having three children and packing them all into a sedan. It, quite simply, will not work anymore. The seats are bigger (and better, I am sure) and the kids are safer (or at least seated on beautiful fabrics wrapped over fantastically soft cushions). So, I had to borrow our friends’ van. And I forgot it was trash day. Until I ripped off the side mirror. The side mirror that does not belong to me. And knocked over the trash can. The trash can that most definitely is mine and full of my yard clippings and chicken breast trimmings. Oh yes. That was all mine. I immediately did what everyone in this situation would do. I called my mom. She talked me down and I didn’t even shed a tear, which, let’s face it, is a Cinco De Mayo miracle, people. I opened up the garage again and got a shovel. There was no way I was ever going to be able to set that can back up by myself and I am convinced that God Himself sent me a random man to help me right that black stinking smoldering can of refuse. And then I shoveled my old broccoli and grass back into it. Next I found the duct tape. Using four pieces I secured the mirror and realized that it was not quite as bad as I originally thought. But you know how car stuff is. It’s always simultaneously not a big deal and expensive. A bunch of really awesome things then happened that aren’t interesting at all. Everything worked out and the van was all fixed by the time the girls were up from their naps. Don’t worry, I told the van’s owner what happened. By text. I cried later. I feel better now. If there is anyone who will look back upon this silent year and a half, it will be Piper. She’ll wonder why all of her babyness isn’t captured here and I won’t have any defense when she accuses me of not recording all of the things she was doing and when. I wish I could’ve sweet, girl, but things got crazy for a while. I’ll try to bring you up to speed now and hope you’ll extend me some grace. 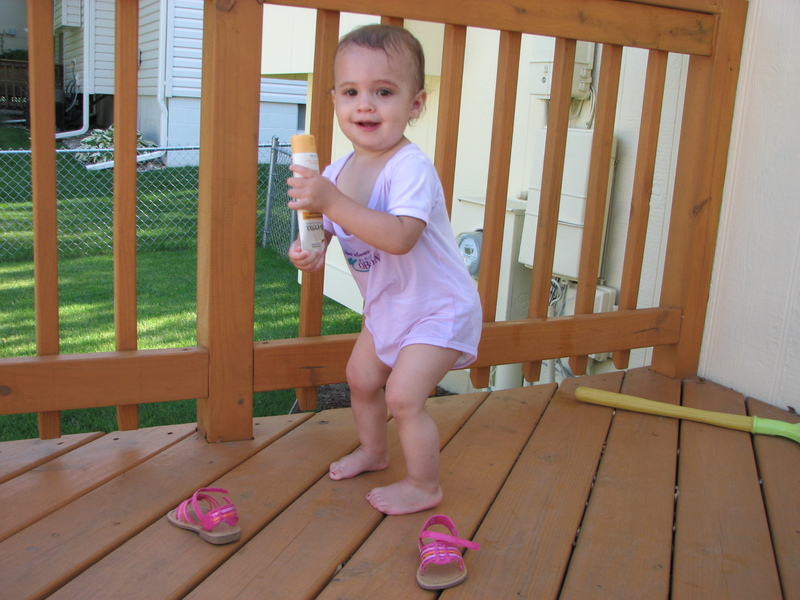 June 2010 – Filled with painting your toe nails and letting you wear adorable sandals to fun places like the splash park and pool. You had this tiny yellow swimsuit that was the most adorable little one every time we went swimming (even when other little girls whose mothers love Target were wearing the same ones). July 2010 – One of your favorite people in the entire world, Rebecca, was in Mali again. You made me watch every video with Rebecca in it while chanting “Meh Gecka, Meh Gecka, Meh Gecka” = More Becca, More Becca, More Becca! We flew to the east coast where you did a fantastic job of being a lovely one year old. You napped when you needed to and flexed like a champ. I was proud of you and very very tired when we got home. October 27 2010 – You were a ballerina on this night and I have never seen a ballerina girl who could steal hearts like you. Lovely and smiley and in love with dressing up. You randomly began demanding to wear your tutu again in February. I made that thing myself (which, you know, is a fantastic accomplishment as I am the least crafty mom in the history of women who love their children) and it hasn’t held up all that well, but you love it just as much, if not more now as on that frosty October night. November 25 2010 – We found out that we were going to have another baby in our house and I started thinking about how sad it would be for you to not be the baby anymore. We waited until late December to tell you and Gideon about it and you understood right away that there was a baby in my tummy. You kept trying to talk to her even after we told you that the baby had gone away. It was one of the saddest parts of that whole time. 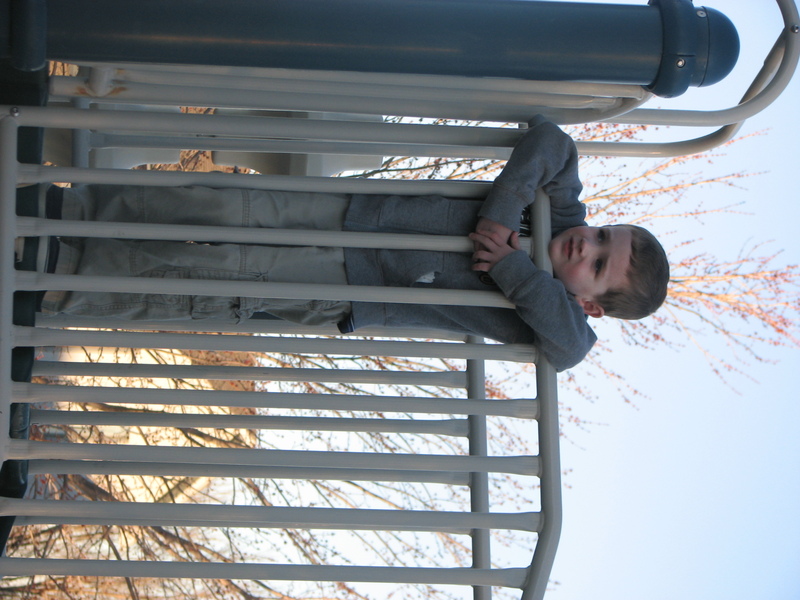 November 28 2010 – Daddy and I went outside after we checked on you and Gideon, thinking we could hear you crying. It was just the neighbors outside yelling at each other about the way one of them drives. Yikes. December 17 2010 – We came home to find a giant inflatable penguin in our yard. He was wearing a scarf and I was immediately sure of who had placed it there. You said hello to that penguin every morning and were always very sad if we didn’t have it inflated or when we finally confined it to the garage. 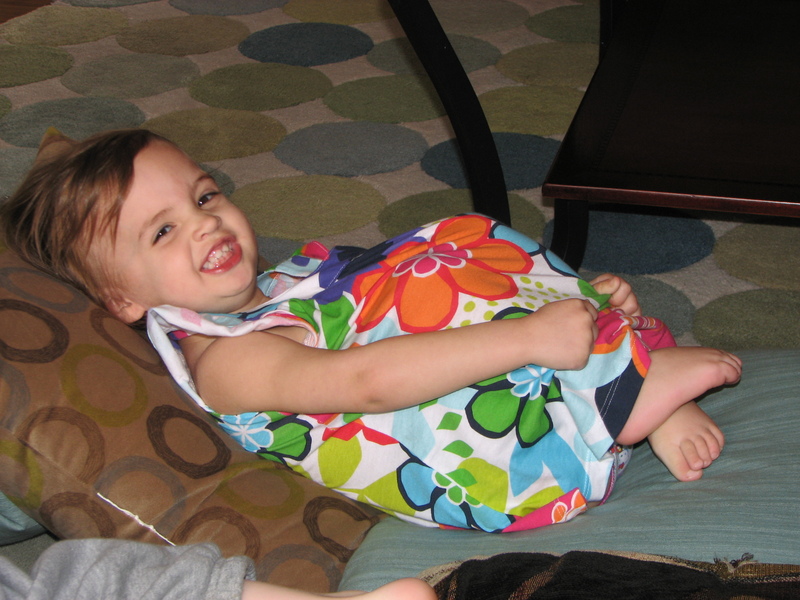 January 11 2011 – I had surgery to remove the baby that had stopped growing in my tummy. It was painful and I barely remember that week, which was especially sad because my cousin Jackie and her husband Chris had come to spend the week with all of us. You were so sweet to me, though. You patted my arm and you gave me sweet little hugs, but I could see how scared you were too, and I’m sorry for crying so hard. February 8 2011- I finally tried that pink sparkle bubble gum toothpaste you love. It has the same after taste as vomit. I understood why Gideon refused to use it and I understand how deep your love of pink goes. All the way to vomit. February 16 2011 – You and your brother came down with a stomach flu that I thought might never leave. You were the saddest, snuggliest baby girl ever. And I was so sad for you but loved all the cuddles too. 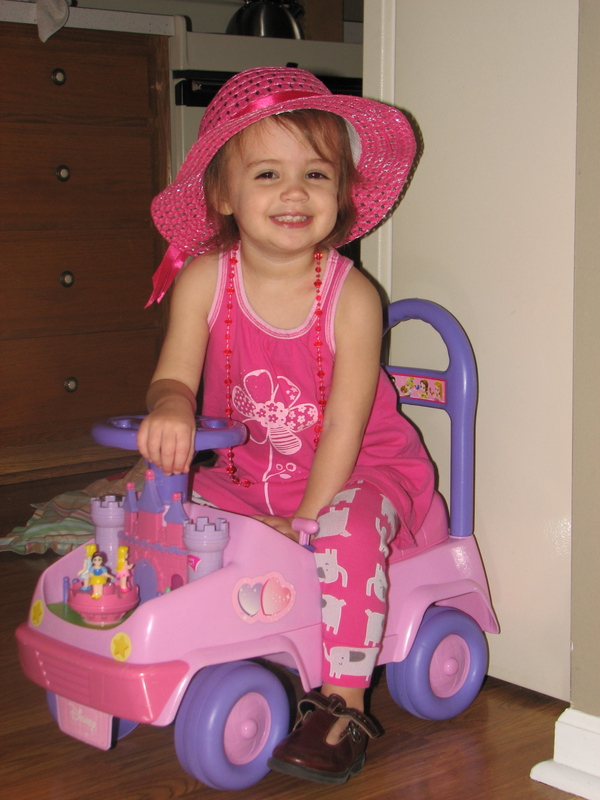 March 12 2011 – You had a pink birthday party. That was the theme you chose. When I asked “What kind of cake do you want?” You said “Pink cake!” And when I tried to convince you that you could have Hello Kitty or Princesses or anything all you cared about was that they were PINK Hello Kitties and PINK Princesses. We made it pink. You loved it. In fact, you are still talking about it when people ask how old you are and it has almost been two months. PINK! March 16 2011 – You were officially potty trained. This is getting way too long, even for a catch up post, so here. These photos should say it all…. Yesterday, a friend who is expecting her first baby was over and asking me about nursing accessories and all the general accouterments of bringing home those tiny wonderful monsters of sleep deprivation. A fitting task given that four years ago today I stood up and my water broke totally movie style, putting into motion a series of events that would change our lives in the most bizarre and wonderful ways. He’s had a year of hard stuff and good stuff. He went to preschool and literally never looked back. He plunged head long into the very big boy world of Legos and making friends without his mother at his side with only slight apprehension. He gets his hair cut like a champ, bringing praise from all the old men at the barber shop and lollipops from the woman who does the work. He loves numbers and colors and building things. 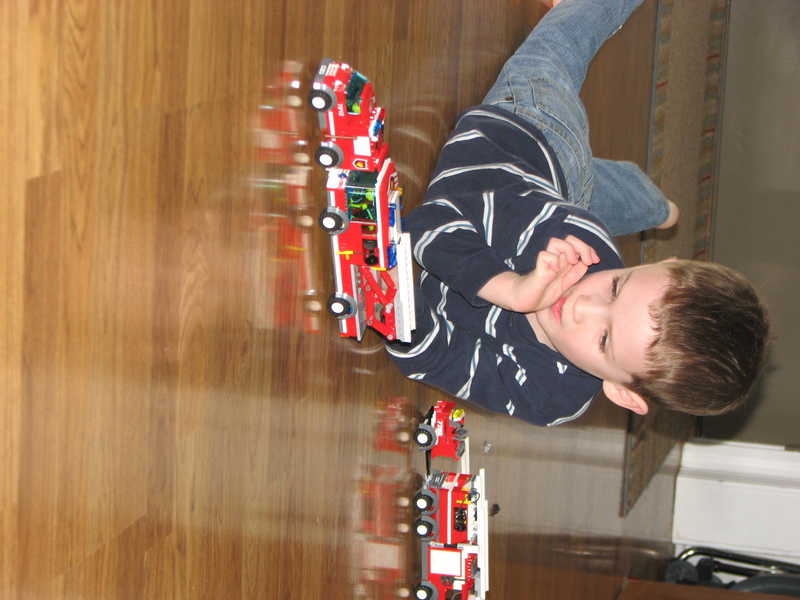 If I had to guess right now, I would say he will be an engineer but if you ask him, he’ll tell you that he is already a firefighter and that he will always be one. We wouldn’t have a problem with that at all. He wants the same cake that I made for him last year, but it was a tough one and I am trying to sway him to something simpler. He wants the same things when he nods off to sleep – Fire Pig, his blanket that matches the crib set and his tiny blue Ikea pillow, but now he only does that at night. He wants to eat more protein – last week’s discovery that there were no more hamburgers on the table brought tears. He wants Guy Time every night and would prefer that it is spent playing bears and rattlesnakes or football on the Wii. He wants long sleeves on when he goes to bed and rock and roll shoes when he’s going out. He wants to see Evan and Owen. He wants to know what Rachel is doing right now. He wants to climb to the top of the First National tower and walk across the pedestrian bridge with the whole family. He wants the Lego Police Station but only asks for it if you mention his birthday or are standing right in front of it in Target. Speaking of which, he only wants to shop there or HyVee. If you mention Wal-Mart, he will attempt a redirect. He has an amazing sense of direction. He can guide you to church and to Poppy’s house and Yaya’s work and Rachel’s house. He can get you to the library and PetSmart (if he wants to look at snakes, something that has (Praise God!) been declining). He can tell you what you need to do to get to heaven. He is thoughtful and wild, introspective and adventuresome, brave and deliberate. He is perfectly Gideon and he is four.